Paddle Surfit Review - Stand Up Paddleboard Fun! 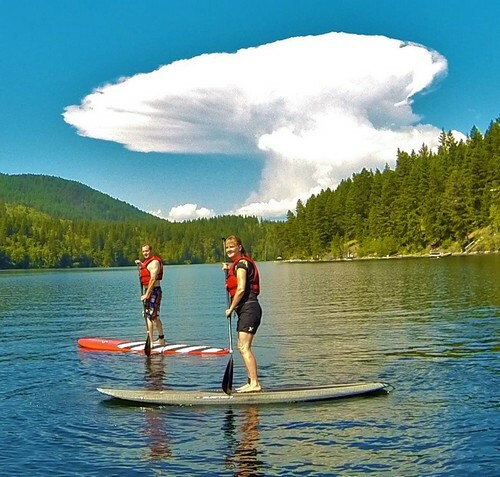 Our Paddle Surfit review relates to our Paddle Surfit stand up paddleboard lesson and tour on beautiful Heffley Lake, just minutes away from Sun Peaks Resort. (If you need awesome family accommodation at Sun Peaks - check out our Best Sun peaks condo). Stand up paddleboarding is easily the fastest growing water activity, and we have been watching for a couple of years now and wondering why it’s so popular. So on a recent trip to Sun Peaks, I signed us up for Sun Peaks stand up paddle board lessons using the Best Sun Peaks enquiry form (see bottom of page). Online (or phone if that’s your thing) communication with the owner, Bodie Shandro, was excellent right from the start, and when the weekend finally arrived we were all ready to give stand up paddleboarding a try. The lessons and SUP equipment rentals were operated out of his home, which is at a beautiful location right on Heffley Lake which is only 15 minutes downhill from Sun Peaks Resort on Heffley Lake Road. He is very popular and busy so allow 5-10 minutes extra (no more) to get there and to get set up. We didn’t because of needing to drop off one of our group for kids Sun Peaks mountain bike lessons and pulled up at the exact time of the lesson and the group was already into their introductions (so many fun summer activities to try and fit in). After listening for a few minutes (being interrupted only by the cries of loons on Heffley Lake and an eagle cry directly overhead, we quickly realized why Bodie was so popular as he is truly passionate and sincere about the sport and about making sure his guests (from 4 to 88 years old so far) are safe and love their session as much as he enjoys teaching it. - which certainly makes for a great Paddle Surfit review! We just had to wait and find out for ourselves. Following his instructions and waiting with eager anticipation, our whole group was soon on the water, checking our balance and yahoo - walking on water! As has been his record to date, our group of excited paddlers also had a 100% success rate for getting up and staying up which is great when writing a Paddle Surfit review. Heffley Lake was beautiful and much bigger than we thought, and very serene, natural and beautiful. We paddled across the narrow lake where we quickly improved our skills and enjoyed a few small waves from the passing boats, saw some turtles, trout, an osprey, and an amazing anvil cloud formation as in the picture at the bottom. Bodie checked on each and every one of us, encouraged us to jump off the board (on purpose) and into the refreshing lake, and ensured to take pictures of the whole group on his GoPro which he promptly posted on his Paddle Surfit Facebook page for us to share. After our first Paddle Surfit review session, we are already contemplating buying a stand up paddleboard and are now in discussions to see which board is best for us (who knew inflatable paddleboards are as awesome as the regular 10 to 12 foot long boards, and can be easily transported and stored!? 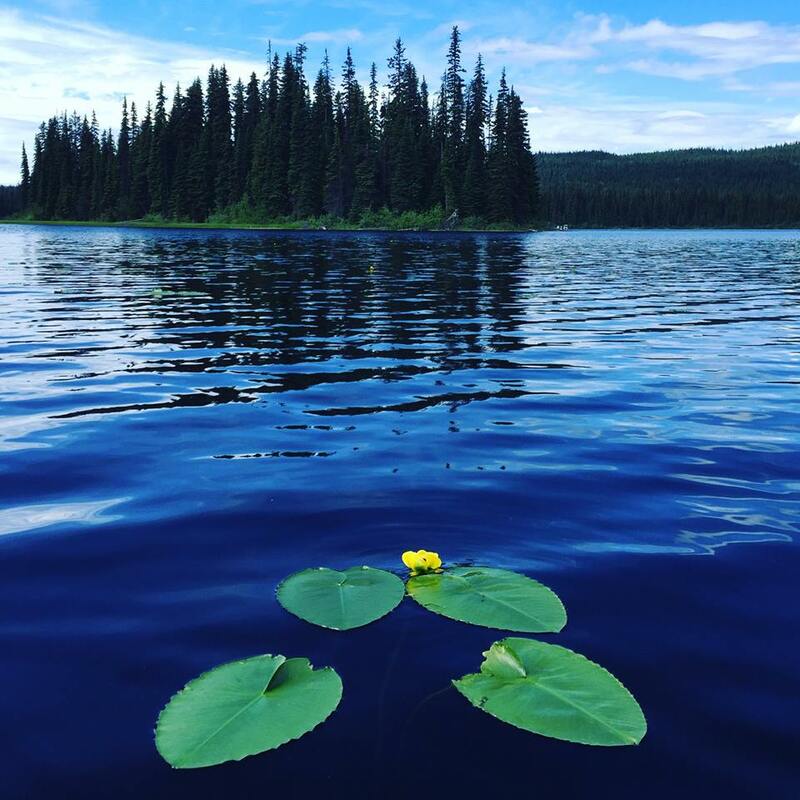 Fall only - Night Stand Up Paddleboard tours near Sun Peaks. Matt, Nancy and Paul from Best Sun Peaks SUP'ing on Hefley Lake - so much fun! To conclude our Sun Peaks / Kamloops Paddle Surfit review, we highly recommend this activity for everyone to try if you haven’t already. Bodie is an excellent instructor, really cool, laid back guy, and also an expert ski instructor so plans are already underway for my private Sun Peaks ski lesson this winter! This is suitable for almost any ages (as mentioned 4-88 year olds have been trained by Bodie already, and most levels of physical ability can get on a stand up paddleboard in one form or another. Most definitely include a two hour lesson or a SUP rental session in your Best Sun Peaks Summer Vacation plans! 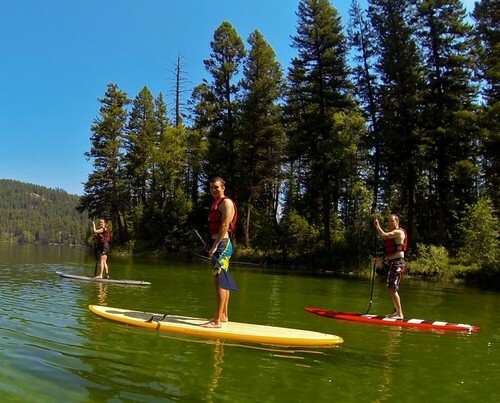 Can't decide between beautiful alpine hiking or mountain lake standup paddleboarding? Check out the Sun Peaks Lake to Peak Adventure Package then!